Notes: I was travelling back from an event in Surrey this evening and was met with huge queues for the Dartford Tunnel, thanks to 2 of the 4 lanes being closed due to emergency repairs to a massive pothole. I was getting hungry and needed the loo, so decided to divert to Bluewater for a bite to eat and use the facilities. Got to the car park and spent 50 minutes moving 12 cars’ lengths to find a parking spot! The whole place was just gridlocked. Anyway, after eventually managing to park, I headed inside and went to Ed’s Diner for a burger. 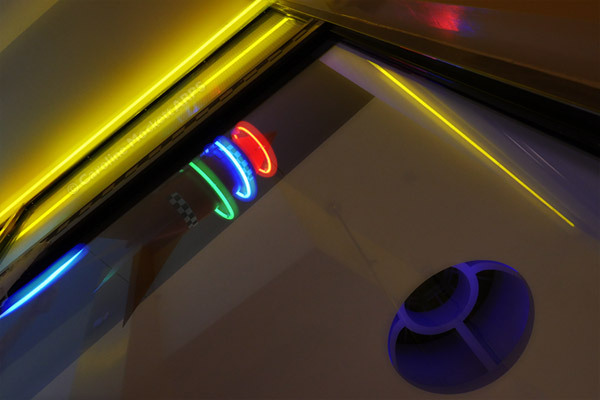 This was some of the neon signage, which I had already shot on Day #3911. But this time a different angle and I did a few shots, some sharp, dome defocussed, and blended them in post production to give a more fuzzy glow around the tubes. Perfect for Treasure Hunt Theme #26 – Double Or Multiple Exposure. Notes: This evening I arranged to meet a friend at Bluewater on my way home from an event in Caterham. 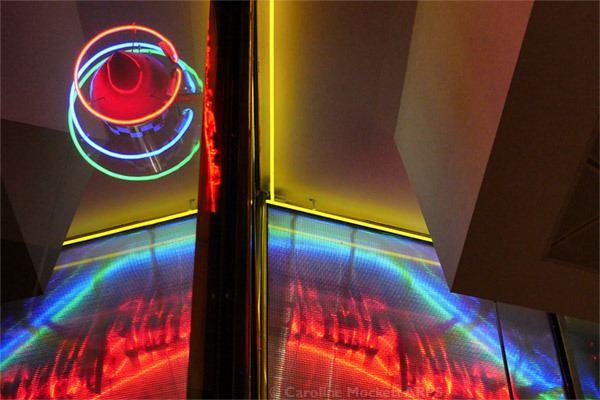 We had dinner in Ed’s Diner, and this was the view, when looking up, from my seat. Notes: Some more of my Micropolis went on show at the LEGO store in Bluewater today. The colourful buildings look quite in keeping with the Duplo big bricks next door! Notes: I had to nip into Bluewater for a brief visit today, on my way to visit friends on the south coast. 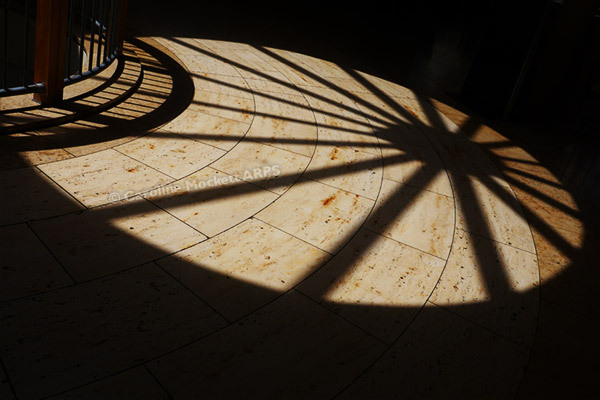 This wonderful shadow caught my eye and I knew it had to be pic of the day. Title: What’s In The Pot? Notes: Back from the High Seas and today I was concentrating on more mundane pursuits – like sorting out the Pick A Brick cup I got from Bluewater last week. 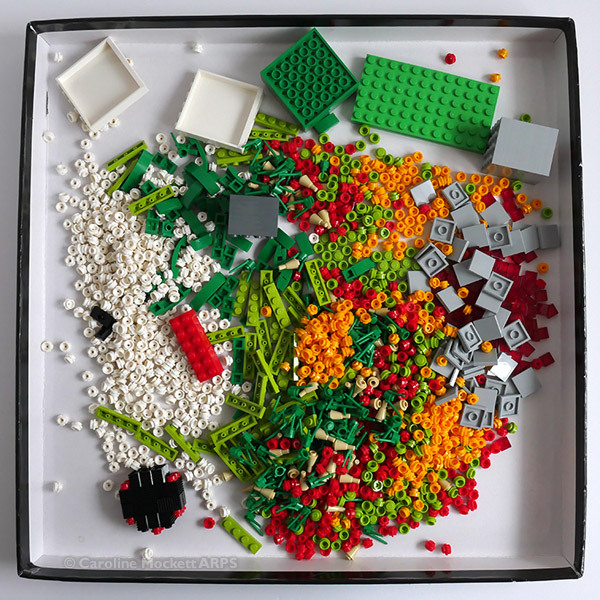 Fortunately, I quite enjoy sorting LEGO and putting it away in my parts storage. 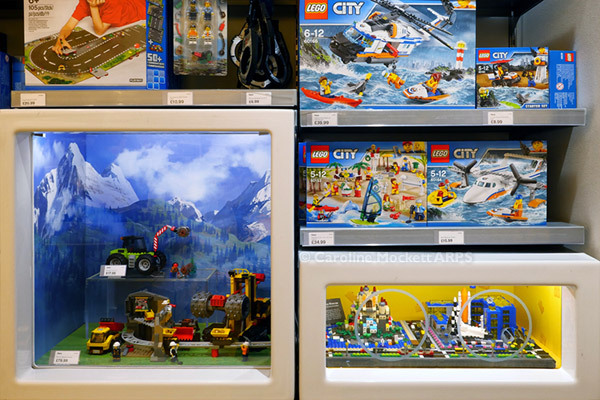 Notes: Each LEGO Brand Retail Store (aka shop) has a Community Showcase, which is a space for builders like you and me to show off their work. The models are usually on display for a couple of months before being replaced by something new. The showcase co-ordinator for the Bluewater Store is a fellow member of the London AFOLs LEGO User Group, and this month a couple of my Micropolis modules have been chosen to be put on display. So I was very excited to take them along to the store today to set them up. I think they look fab! 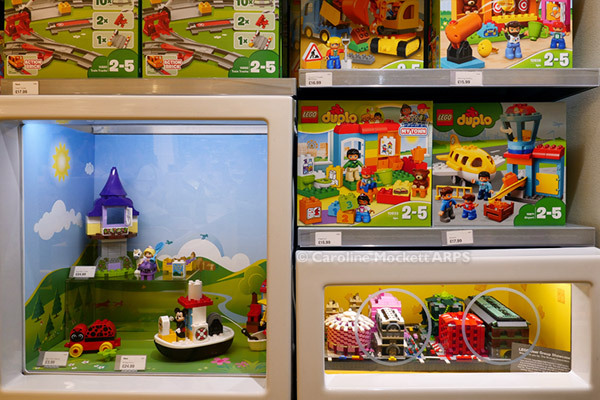 Here you can see the showcase in place next to retail box sets of LEGO near the tills. Thankfully, the case has a glass front, so I’m hoping the models will be safe from prying little fingers! Notes: I was back at Bluewater shopping centre today. 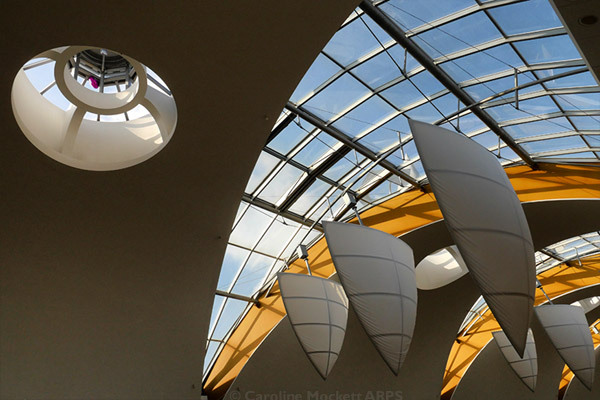 The skylights have a nautical theme, as d o the sail-like shades hanging from the ceiling. Add a bit of blue sky and it makes for an interesting geometric architectural study. Notes: I braved a trip south of the river today, to pick up some things I wanted from the Bluewater Shopping Centre in Kent. I haven’t been for years, usually avoiding such places. But needs must, and all that. The car park is massive and so they give you handy pointers as to where to head for on your return. 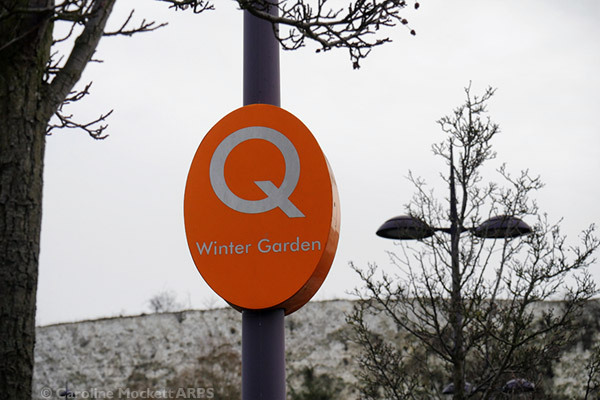 I parked under Q and thought it would make a good shot for Treasure Hunt Theme #54 – Q Is For….